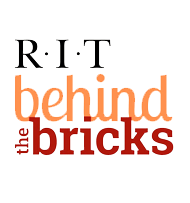 In order to connect to a wired connect on the RIT network, the device MAC address will need to be registered on start.rit.edu. A MAC (media access control) address is a unique address assigned to a computers wired and wireless device by the manufacture. MAC address contain numbers and letters A-F and are formatted as FF:FF:FF:FF:FF:FF. Below are the steps to connect to a wired connection. This process is for any computer with a web browser. Media devices and game consoles such as Xbox One, PS4, and Apple TV please follow their instructions under Support menu. Click here for manual registration. Devices must be on plugged into the network before registering a device! Connect your device to a data jack in your room with an Ethernet cable. This jack is usually colored blue. Open a web browser and go to start.rit.edu. On the left hand side, select "Register Computer" under Computer Resources. Once signed in, you will be prompted to add a new device or add this connection to already registered device. Next you will need to provide a description of your device, what Operating System you are using, and you can customize your computers name on the network. Once this is complete, it may take up to 15 for the settings to take place. You will need to refresh your DHCP lease. This can be easily performed by restarting the machine. Students are unable to request Static IP address. Students can access their machines by using the host name that resolves to the Dynamic IP address.